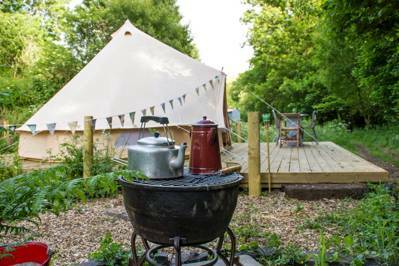 A glamping holiday in Devon is a great way to experience the county’s natural beauty without having to get bogged down in it – as you might at a campsite under siege from the Great British weather! 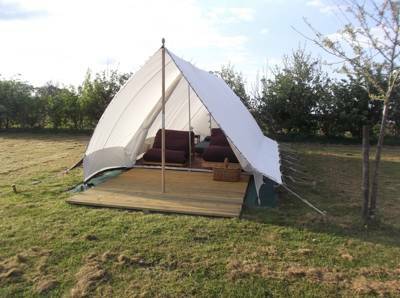 Glamping gives you the chance to stay as close to nature as you would on a traditional camping holiday but makes the whole thing easier and usually a lot more comfortable too. 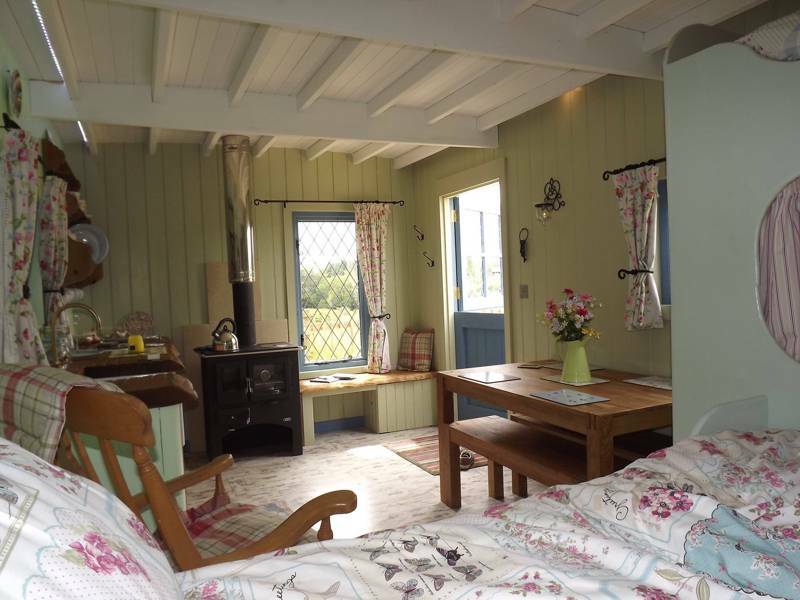 Our traditional Shepherds hut is a new addition to our campsite. 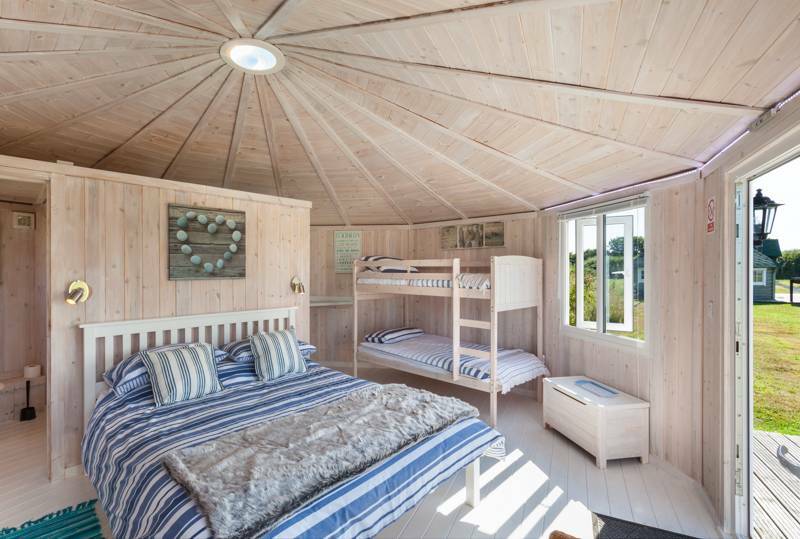 It is equipped with a wood-burning stove and a comfortable double bed and bunks beds, there's also a third trundle bed for the little one to stay in. 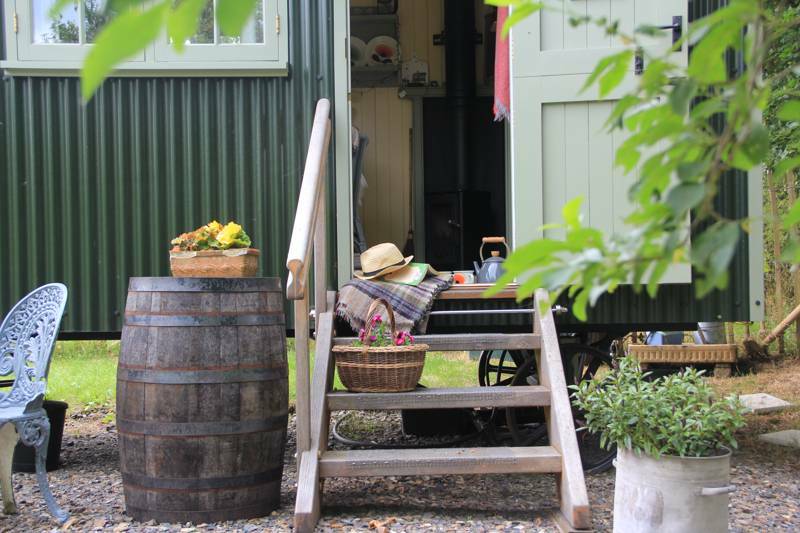 A well-equipped Shepherd's Hut in a tranquil setting in Devon, complete with ensuite and cooking facilities; plus there's an on-site store selling all manner of goodies. 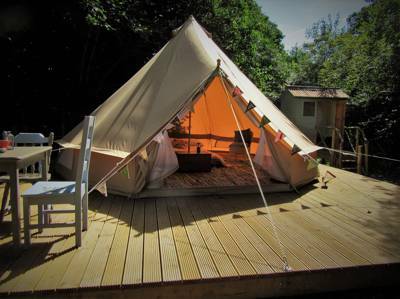 Glamping in Devon gives you a great family holiday when different family members have competing ideas about what makes the ideal break. Dad can get his relaxing hot tub hit but the kids still get to try body boarding on the beach, or vice versa! Back to that natural beauty – there’s more of it in Devon than you can shake a stick of Torquay rock at. 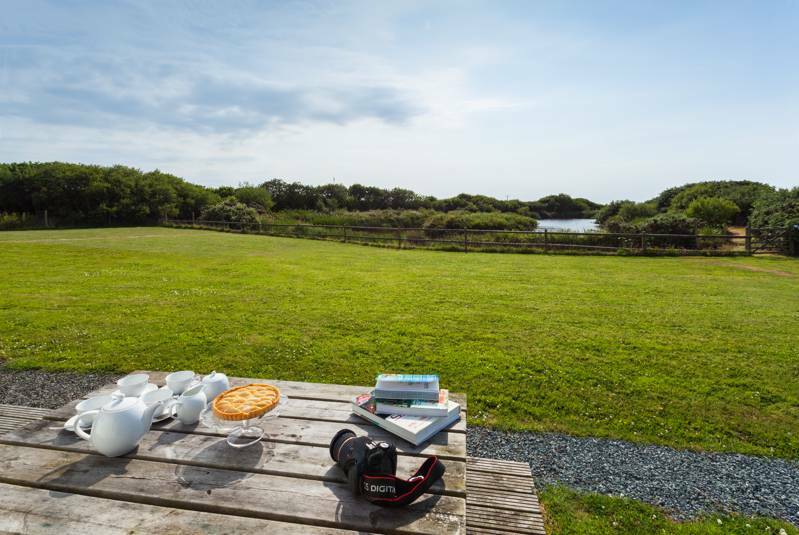 This south-west county has south and north coasts that offer very different and varied seaside scenery with a lot of rural bliss sandwiched in the middle including, of course, the famous wilderness areas of Dartmoor and Exmoor. 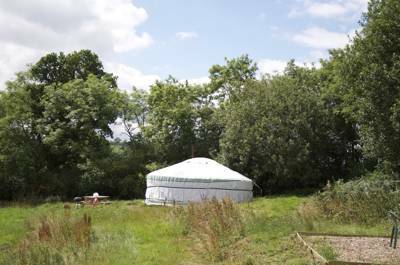 It’s in among this rural landscape that you’ll find some of the best Devon glamping sites. 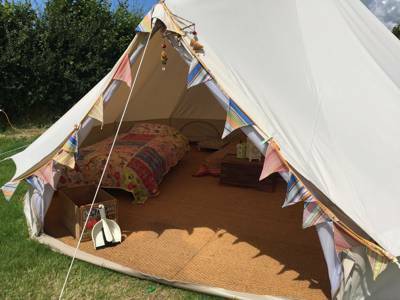 Tucked down country lanes, on farms and smallholdings or in among the tents of a larger campsite, you’ll find glamping getaways in all shapes and sizes. 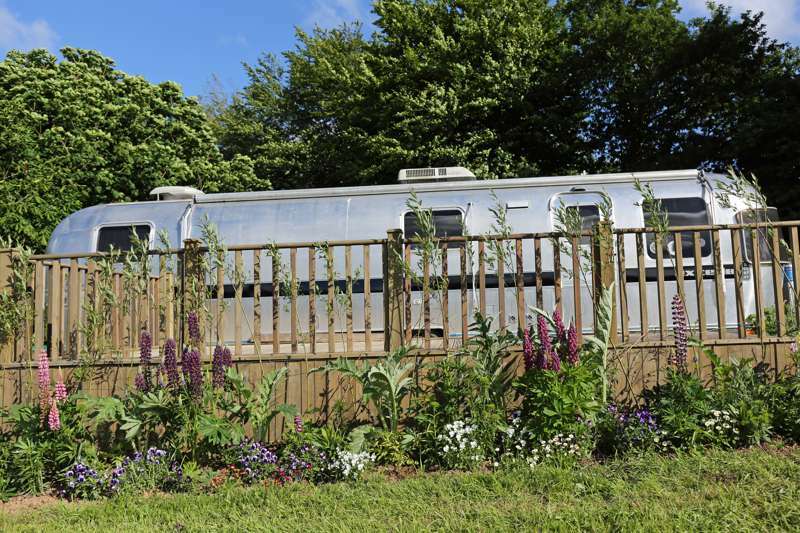 The range of accommodation available is as vast as the range of places you can find them in. 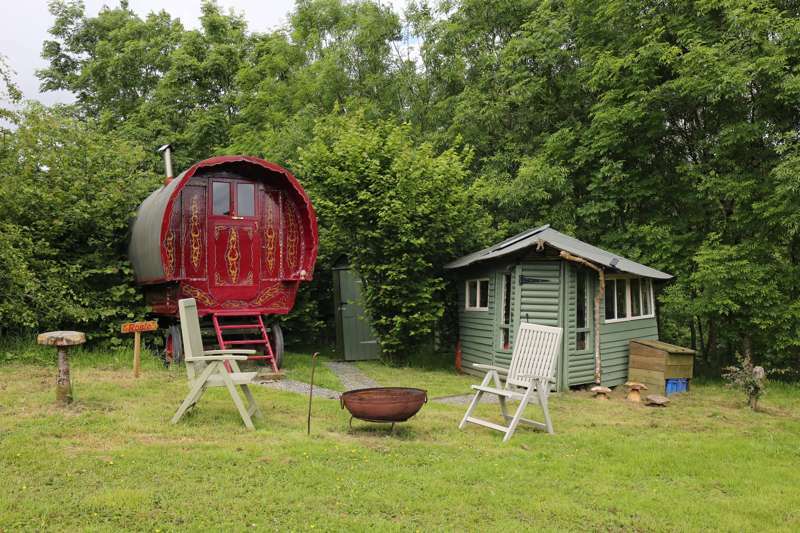 There are cabins and surf pods on the north coast, yurts in shady woodlands and even safari tents with valley views. There are Devon bell tents in nature hot spots, shepherd’s huts on the edge of national parks and vintage caravans in rural idylls. 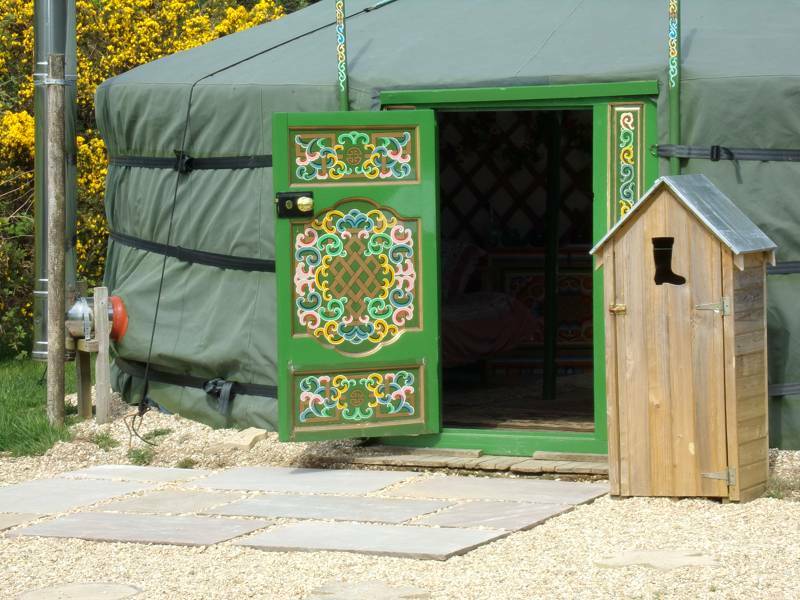 If you want to keep it close to traditional camping and sleep under canvas – a bell tent, tipi or yurt should do the trick but if you prefer a solid roof over your head a cabin, vintage caravan or shepherd’s hut in Devon kitted out with all mod cons can offer a few more home comforts. 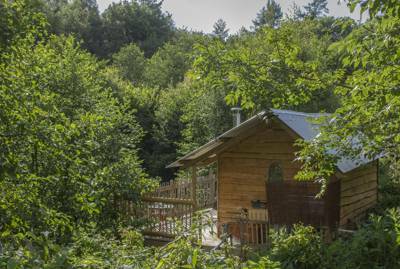 For something a little different how about seeking out a treehouse? 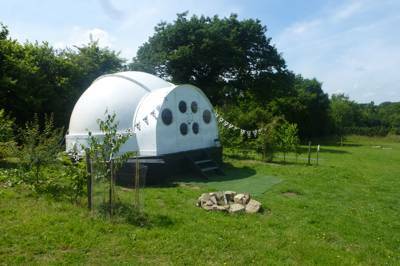 If you don’t fancy dashing to the facilities block with a head torch at midnight make sure you’ve got an en suite toilet attached to your Devon glamping accommodation. 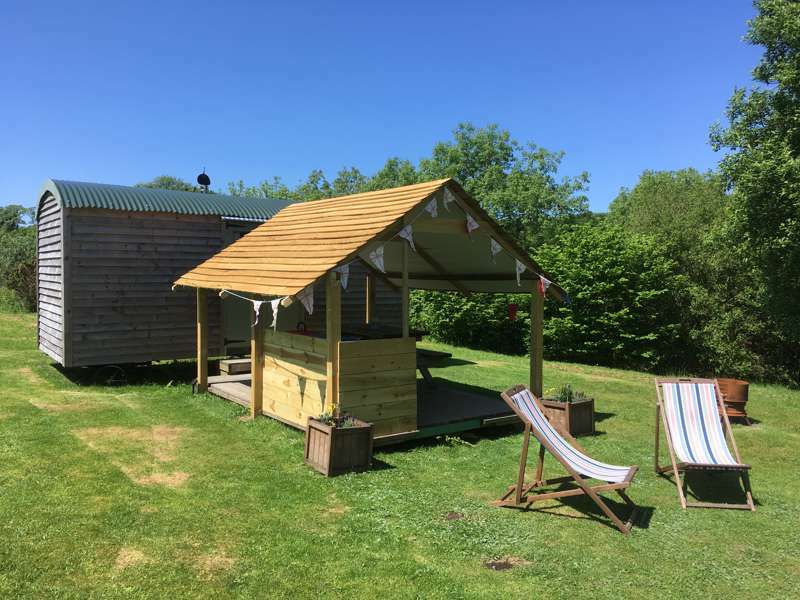 If you’re booking your glamping getaway for spring or autumn when the evenings are cooler, consider a shepherd’s hut with a log burner and if you can’t do without a campfire; make sure they are allowed on your glamping site of choice. 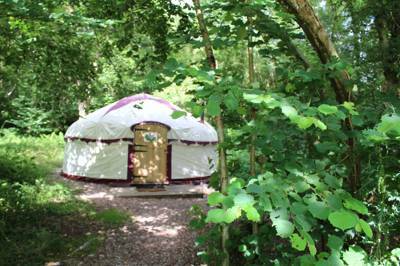 It’s easy to find somewhere that suits you with Glampingly by using the “Refine search” option. 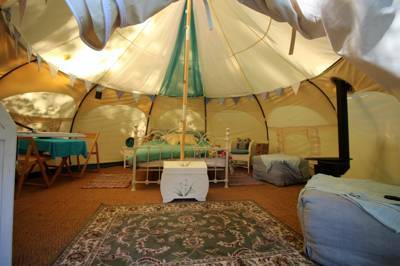 Devon’s wealth of destinations means it is not simply a choice between coast or country glamping. There are two coasts and two national parks and lots more choice in between. 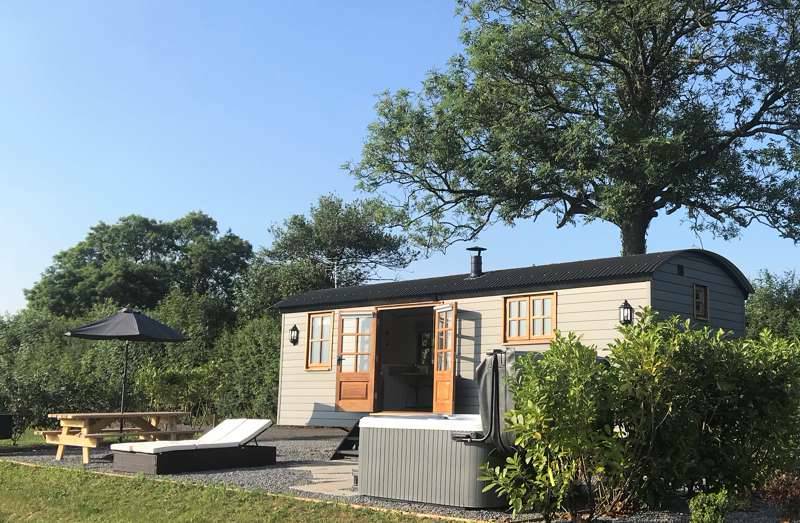 Head between the headlands for the sandy beaches of the north coast at Croyde and Woolacombe for a Devon surfing and glamping holiday or stick closer to the south coast to discover the UNESCO World Heritage-listed Jurassic Coast, characterised by dramatic cliffs and rocky coves. You’ll find both Exmoor and Dartmoor National Parks in between the two coasts as well as plenty of rolling countryside and farmland. 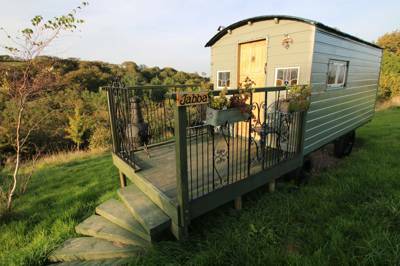 Over in east Devon are the Black Down Hills, one of five designated Area of Outstanding Natural Beauty in the county, and there are Devonshire glamping sites near all of these gems. Devon is, of course the home of the English Riviera too, with Torquay, Brixham and Paignton clustered around the bay. You don’t have to be Agatha Christie to work out why this part of Devon attracts so many people on holiday. 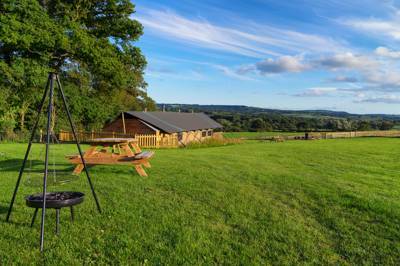 It has a microclimate all of its own, plenty of large holiday parks and lots of tourist attractions. 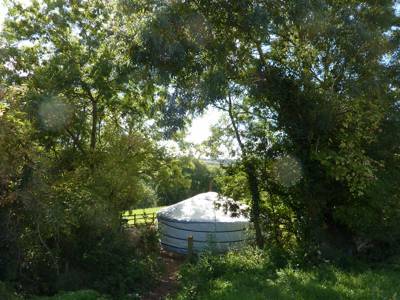 These destinations are great for a day out but most of the Devon glamping sites in our collection are a little more tucked away. Enjoy those beautiful beaches! North or south coast, surfboard, body board or just bare feet for paddling. Devon’s famous beaches are one of its biggest draws. Take a stroll on the South West Coast Path. The whole route is 630 miles long so don’t get too ambitious but you can join part of it on the north or south coast to walk, cycle or run while taking in some pretty awesome views. 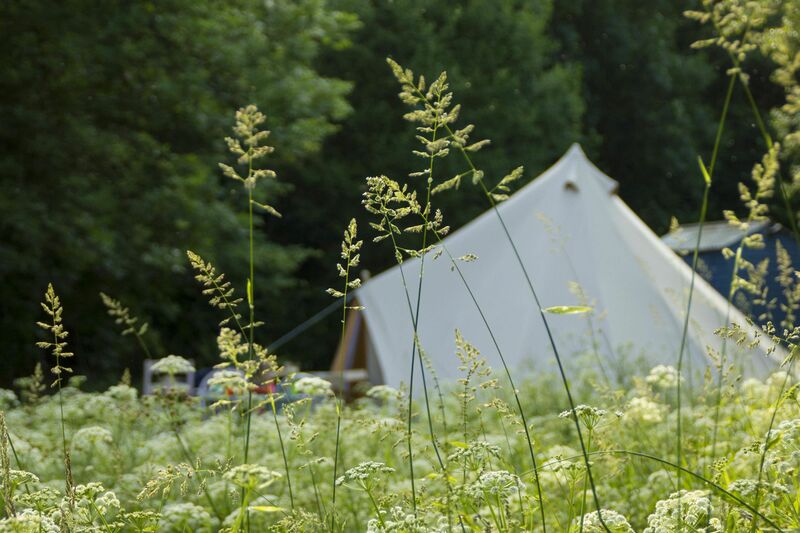 Get out into the wilderness of Exmoor or Dartmoor for a picnic and to explore the other-worldly heathland studded with granite tors, stone circles, ancient ruins and free-roaming ponies. Search for fossils on the beaches of Devon’s east coast which forms part of the World Heritage-listed Jurassic Coast. This 95-mile stretch is chock-a-block with fossils and rocks that give a clue to 185-million years of history – if you know what you’re looking for. Ride the rollercoasters at Woodlands Leisure Park if your kids need a bit of an adrenaline release! 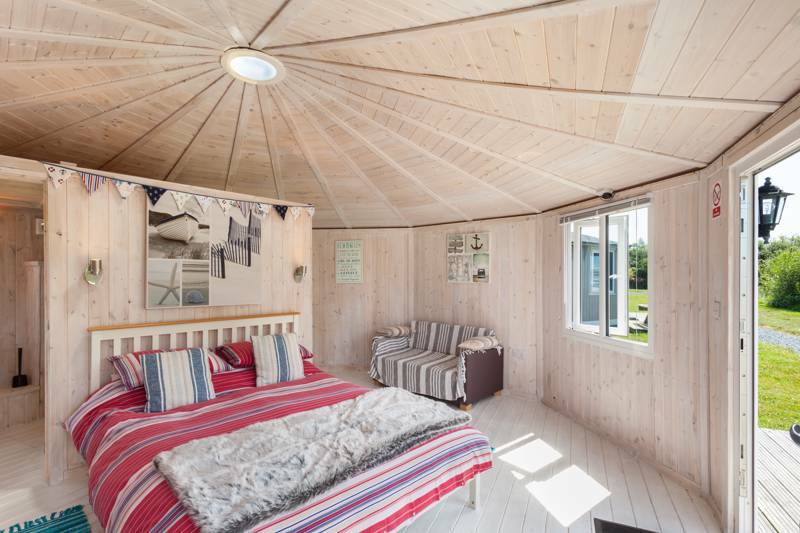 It’s the largest family theme park in Devon and might be a bit of a contrast to your quiet glamping site but you can guarantee the kids will sleep well after racing round here all day. 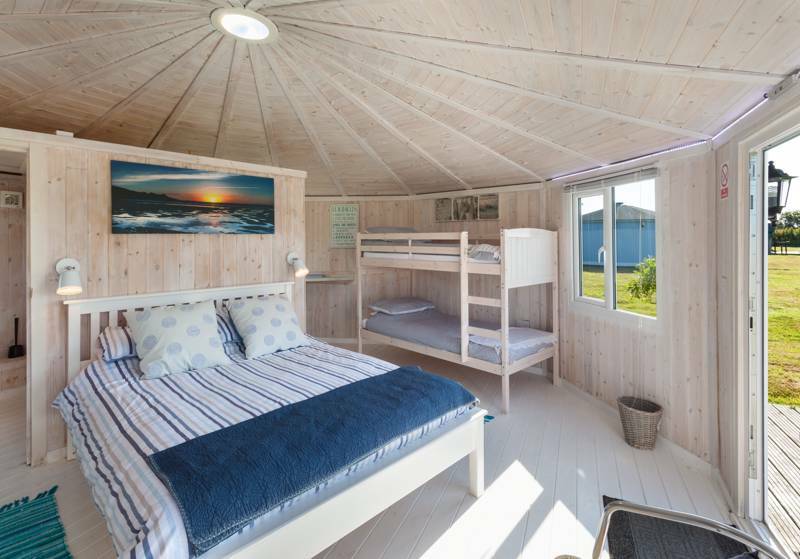 It’s always good to have a rainy-day idea up your sleeve in case the heavens open during your glamping holiday and Devon has a good one: The National Marine Aquarium in Plymouth. It’s a conservation charity with more than 4,000 species. Have a Devonshire cream tea – it’d be rude not to. You can’t visit Devon without sampling their famous scones with clotted Devonshire cream piled on top of jam, or should that be the other way around? Take a trip to the English Riviera. There’s plenty to do from boat trips round the bay to the crazy golf and kiss-me-quick arcades in Torquay or you might just like to witness from afar while taking a genteel trip on the Dartmouth Steam Railway. 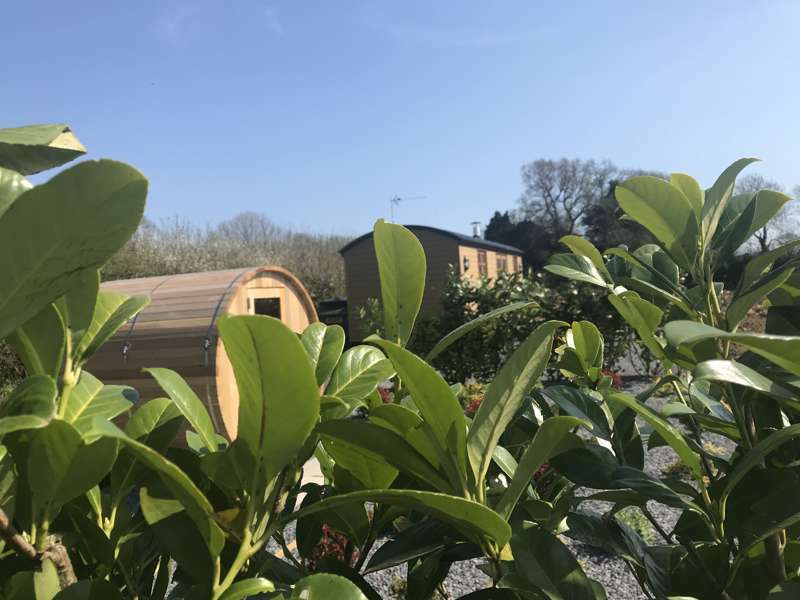 Glamping sites in Devon, glampsites in Devon, at Glamping in Devon, Glamping in Devon: The best glamping sites in Devon – read reviews, check availability and book online today.